Belvedere Designs: Display Your Address In Style! Display Your Address In Style! You take pride in your house and address, so why not display it in style? There are many ways that our vinyl lettering can help you accomplish this. One of our customers had an antique family heirloom and added their address to it which made for the perfect touch to this decor piece. She choose a darker shade than the piece itself, and it turned out to be a chic addition to their front porch! 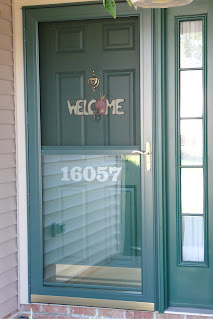 Another customer simply added the numbers to their address on the glass screen door. This not only looks great, but is wonderful for younger children learning to remember their address! 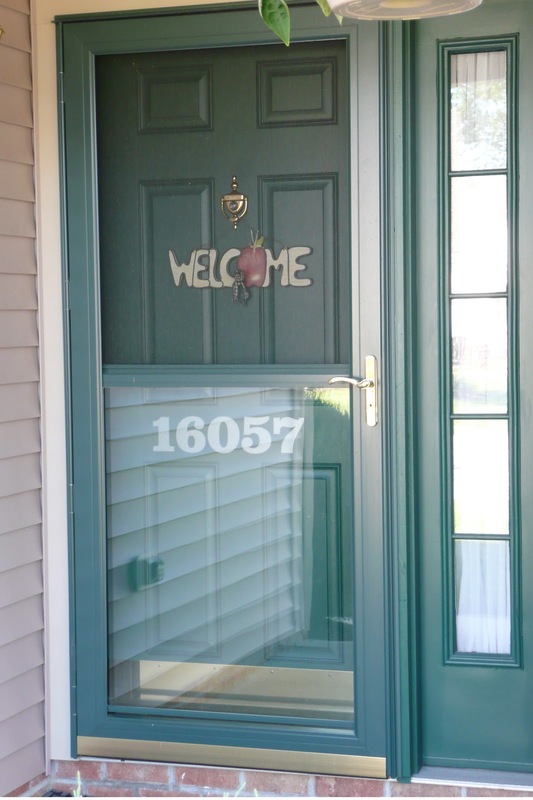 There are so many different ways to display your address with pride, let Belvedere Designs help!